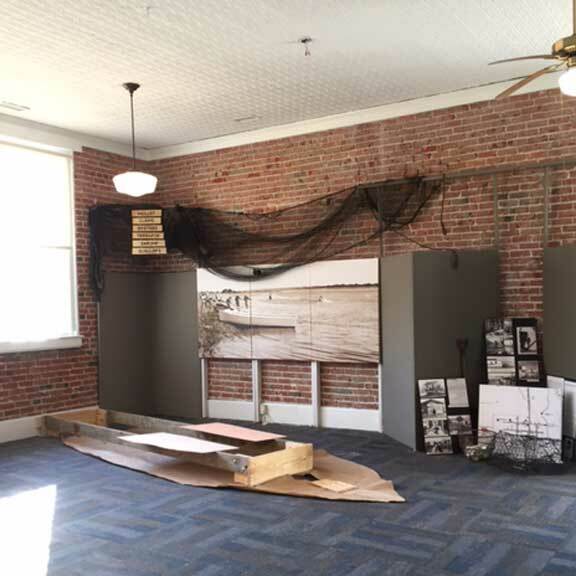 A new fishing exhibit is nearing completion at the Swansboro Area Heritage Center. 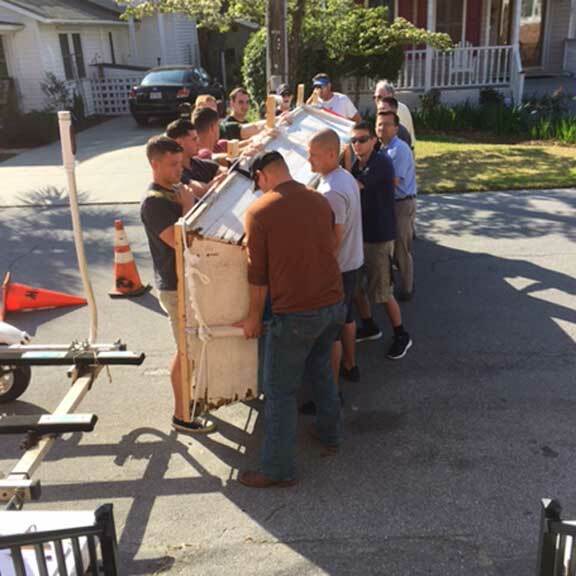 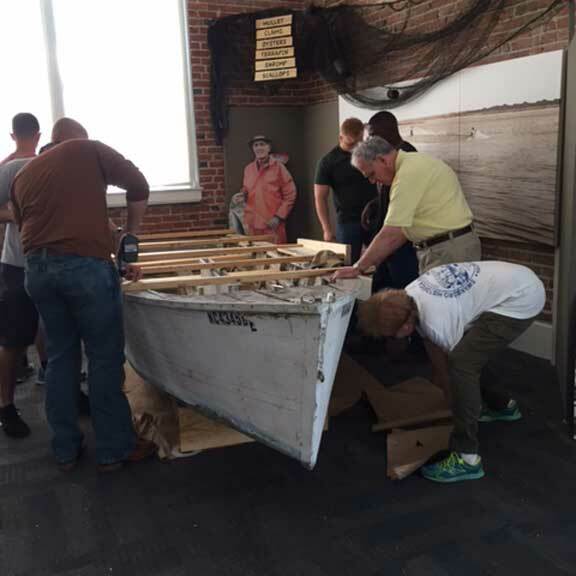 An old replica of a Carolina flat-bottom Spritsail Skiff was moved Friday, April 14, 2017 into the museum with the help of nine Marine volunteers under the leadership of Kelli Andrews. 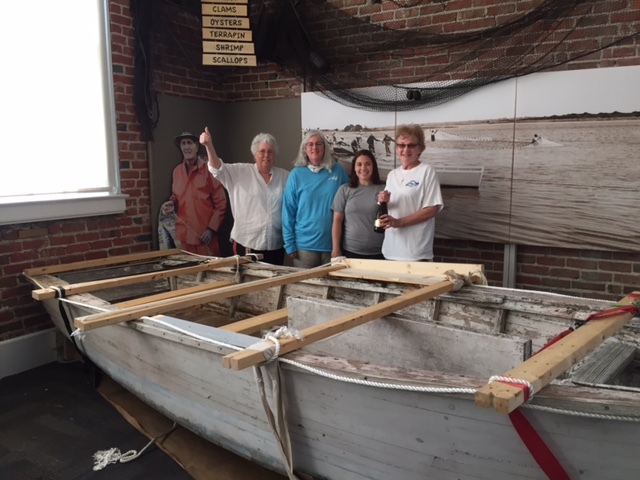 Ann vonHoorn, Chairman of the Board of Directors, spied the old boat languishing in a boatyard in Cape Carteret. 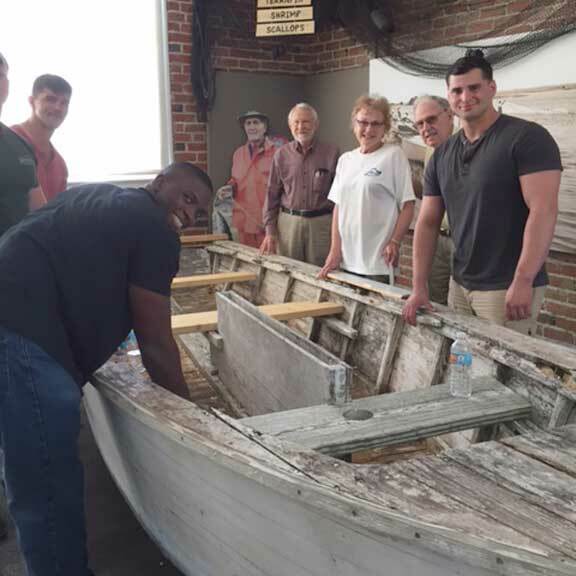 She asked for it be donated to the museum.The builder-owner had passed away and the boat was unclaimed. 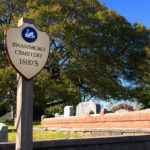 Ann vonHoorn, cleaned out 20 years of collected leaves and dirt and made a scaffolding to protect its fragile condition. 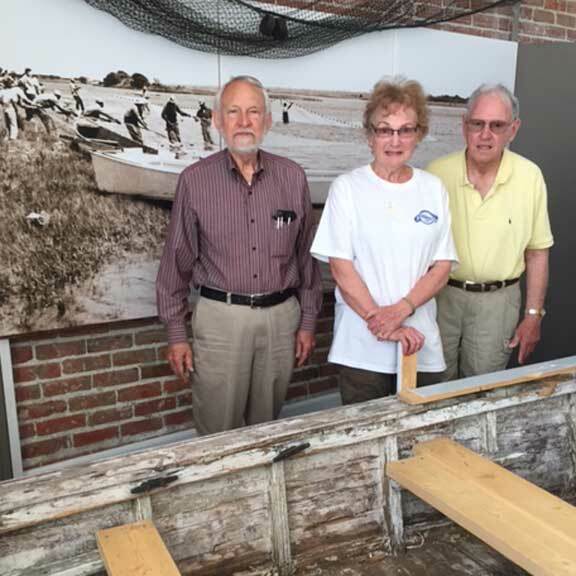 Bill Gerdsen, from the Coast Guard Auxiliary, friends, neighbors and Marine volunteers orchestrated the maneuver to install a heavy, fragile token of former times. 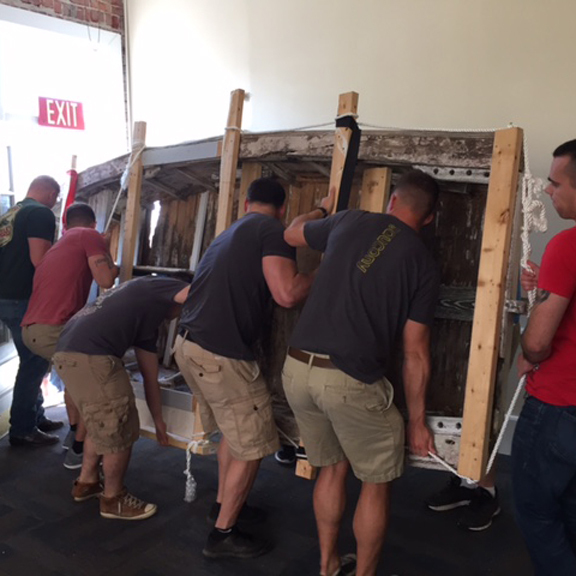 The challenge was to carry a 16-foot boat sideways through a 35-inch doorway and lay it in position on a prepared cradle. 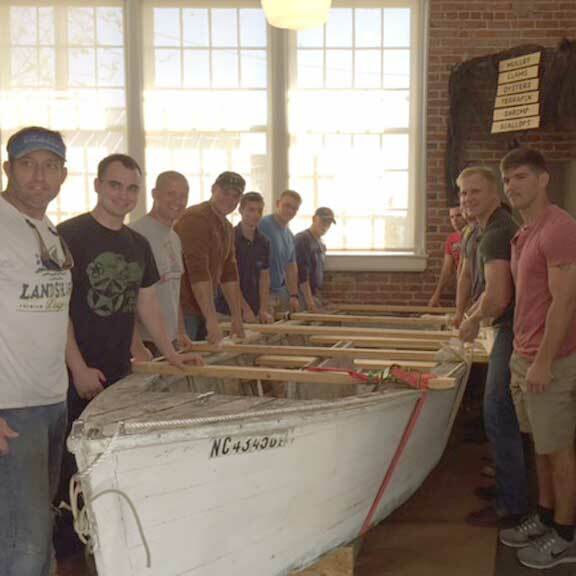 Volunteer Marines included Gary M. Viaz, Charles A. Esparsen, Alexando A. Wynn, Nicholas D. Loboell, Austin J. Sargenfrei, Scott P. Milliken, Joseph S. Dobbins, and Paris L. Maxie.